Irish detectives have arrested a man in his 40s in connection with the murder of Denis Donaldson, an MI5 spy who operated at the heart of the IRA and Sinn Féin. The suspect was detained at Cloghercor in Doochary, Co Donegal, on Thursday. The Garda Síochána are questioning him at Letterkenny garda station. Donaldson – a former close associate of Sinn Féin’s president, Gerry Adams – was killed by a shotgun blast as he answered the door of his isolated cottage near Glenties, Co Donegal, in April 2006. The Real IRA admitted responsibility for his murder. Last month a 74-year-old man from Glasgow, Patrick Gillespie, was charged with withholding information in connection with the MI5 agent’s murder. Gillespie, who has an address in Glasgow’s East End as well as one in Donegal, was granted bail. 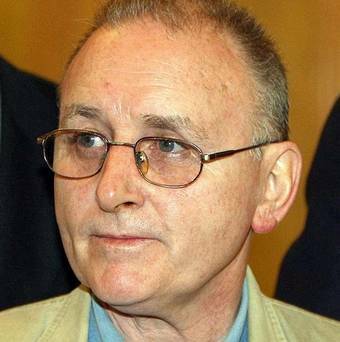 Before being exposed as a British spy, Donaldson was a prominent figure in Sinn Féin and eventually became head of the party’s administrative team at the Stormont parliament in Belfast. Donaldson was also renowned as a “fixer” for the republican movement’s leadership and was responsible for the removal of candidates the party’s hierarchy were concerned about and their replacement with those who would toe the line. At one time he was also in charge of international relations for Sinn Féin and spent time in the Middle East meeting Palestinian factions and Hezbollah in Lebanon. Throughout that period, Donaldson was also working for British intelligence. The inquest into his death has been delayed at least 19 times, resulting in his family taking legal action against the authorities. It is understood the delays are partly connected to sensitive material that the Garda Síochána possesses, namely the journal that Donaldson was writing after being unmasked as a British agent.